A Film About a Cook Book! A film produced in the Hunter Valley starring the AROUND HERMITAGE team, local chefs and vignerons. Based on the first Australian cookery and home entertaining etiquette book, published in 1864. We take our “Hunter Valley Wine Country Diners Club” back in time to 1864, the year of the first Australian cookery, home entertaining and etiquette book was published. 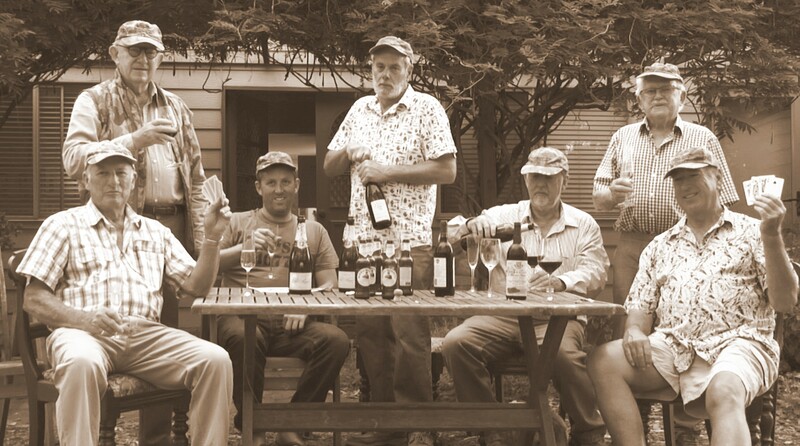 We visit historical Hunter Valley wineries, homes and towns, as we hunt, gather, travel, bake, boil, fry, smoke, dress and dine from the pages of “Cookery for the Many, as well as for the Upper Ten Thousand” by Tasmanian Aristologist” Edward Abbott. How are modern Australian dining and entertaining habits influenced by our European ancestors? We’ll find out with the help of the Hunter Valley’s winemakers, chefs, historians and celebrities. We’ll compare the food, wine, lifestyles and entertainment customs of 1800’s ancestors with those of the kitchens and dining rooms of today. Edward Abbott, Australia’s Mrs. Beeton, was interested in everything, ready for anything, afraid of nothing, and that’s our motto, as we take on the “Cookery for the Many, as well as for the Upper Ten Thousand” challenge. The Event – Wine, Food and Film! Beers from Ironbark Hill Brewhouse will be on tap. This event is not suitable for persons under the age of 18.